As a public librarian turned school librarian, I’ve always had a keen awareness of the importance of a strong public library/school library connection to increase the effectiveness of both for our school-aged patrons. I’m very lucky to currently work in a school district that supports their school libraries and provides a wide range of database subscriptions, and access for our students to laptops, tablets, and other technology. Even so, I find myself directing my students regularly to the resources available from our local public library; whether it be to utilize a digital subscription that we don’t carry at school, or urging them to visit the branch in person to take advantage of the technology, programming and expertise available there. This partnership only increases in importance in areas where funding for schools and libraries is even leaner, and absolutely vital in those communities where school librarians are being cut altogether. 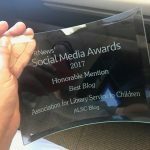 With so much going on in our own libraries, and so many technology advances and digital tools to keep track of, how can we make room to keep up our awareness of our counterparts and where we can bolster one another? Make sure you know who your colleagues are! Email local schools or libraries to share contact information. Visit your counterpart’s website and digital resources to make sure you know what they have available and how to use them. Take advantage of social media to help market each other’s resources to your shared patron base. Invite your counterpart to participate in your programming every once in a while to help young patrons understand that their school librarian and public librarian are partners and there to help them whenever and wherever possible! 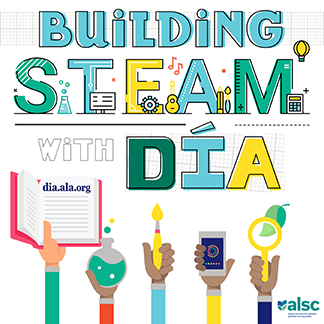 For more help and information, please use the wonderful ALSC Public Library & School Library Collaboration Toolkit! This post addresses the ALSC Core Competencies: II. Reference and User Services, V. Outreach and Advocacy, and VII. Professionalism and Professional Development.